Chain saw chaps are considered one of the most important safety equipment for all chain saw users. This simple piece of protective clothing can stop a running chain saw in its tracks, thus, limiting the amount of damage caused during an accident. Not sure which chain saw chaps to get? Well, here are three different models to get you started. For the best fit, always measure from the belt to the top of your foot. These chain saw chaps offer maximum protection as they cover both the front and back of your legs. If you are involved in forestry work, this feature will also shield you from thorny underbrush. The inner protective pad is constructed using Engtex™ material. The highly visible orange nylon chaps are also water – and oil – resistant; and can be machine washed and dried. The most distinct feature of this model is its Kevlar protective pad. The inner lining is made of two layers of woven Kevlar combined with another two layers of needle punch Kevlar. This unique construction makes it five times stronger than steel. These chaps also come with a five compartment tool pouch for greater convenience. The chaps are secured using leg straps and a nylon web belt; and are available in green or orange. This model showcases an eight layer protective pad consisting of specially weaved Prolar® fibres that ‘explode’ upon contact with a rotating chain saw! 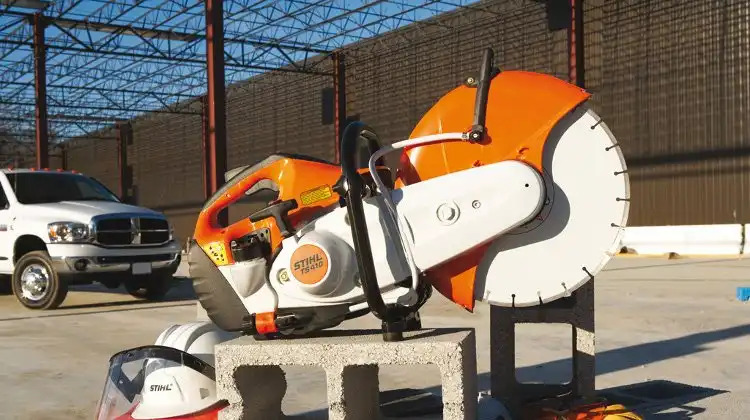 This unusual protective mechanism works by jamming the chain against the bar and sprocket; and can stop chain saw speeds of up to 2750 ft. per minute. The outer shell is made of tough Cordura® Nylon which is urethane-coated to produce its windproof, waterproof and, oil – and tear – resistant properties. After making your purchase, remember to clean your chain saw chaps regularly so that it can function optimally. Follow the manufacturer’s instructions and you will have chaps that serve you long and well.